Workers’ compensation is often considered an insurance system to ensure workers can get by if they can’t work after physically hurting themselves. However, claims by workers who are unable to work because of mental issues such as stress caused are increasing and the standards by which these claims are judged are changing. 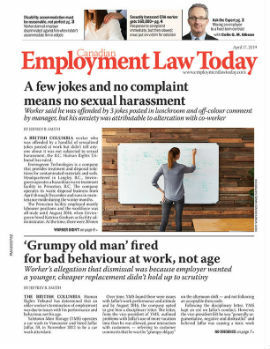 Standards by which the provincial workers’ compensation boards evaluate mental stress claims have been pretty strict in the past, but the Ontario Workplace Safety and Insurance Tribunal recently lowered the bar, part of a possible trend across the country that may make it a little easier for workers to get compensation for being unable to work because of mental stress that is a result of workplace issues or events.